The Jerusalem District Court acquitted Shmuel Yehezkel, an Israeli border policeman, from charges of manslaughter today. 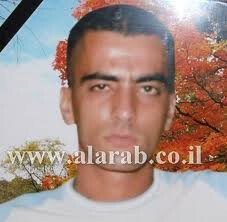 Yehezkel was accused of killing Samir Dari, a Palestinian resident of Al Isawiyya neighborhood in east Jerusalem in November 2005. Dari was killed when the policeman shot him in the back at close range. The Israeli police stated that Dari was shot as the police were chasing a car thief in the French Hill neighborhood in Jerusalem. The indictment, filed in January 2006, indicated that Yehezkel fired at Dari at close range. 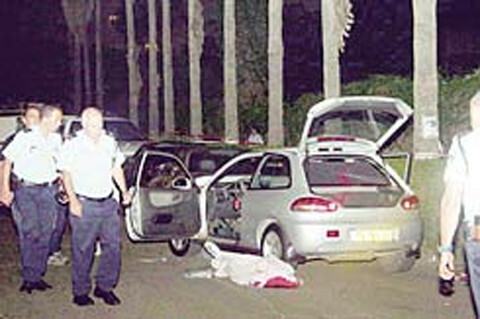 Yehezkel claimed that the shooting was in self defense and stated in the trial the he and other policemen “were attacked by a crowd at the entrance of the village”, Israeli Ynetnews reported. The police also claimed that the crowd attempted to grab a detainee who was in their vehicle. Also, Yehezkel claimed that after he and other policemen fired several warning shots into the air, a vehicle hit him, throwing him into the street. Dari, according to the police report, was in that vehicle. The officer further claimed that two passengers got out of the vehicle in order to grab Dari who attempted to get into the car. “I was convinced that they would try to run me over, I was also sure that I and other policemen were in direct danger”, the policeman said. 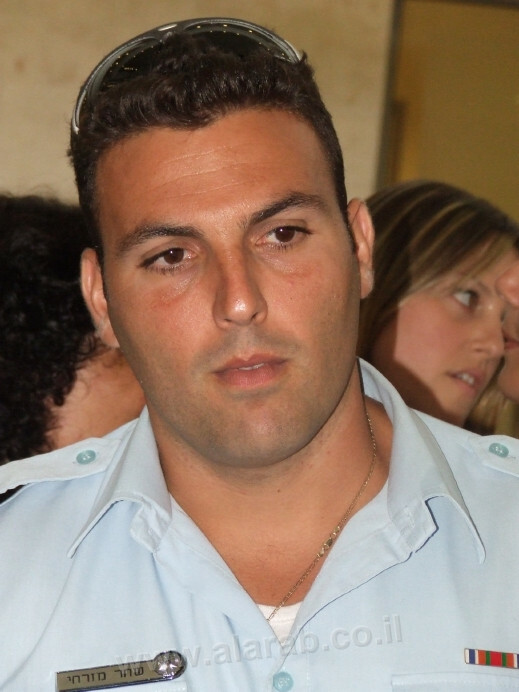 “I warned him that I will shoot if he didn’t stop”, Yehezkel added, “He didn’t stop”. But eyewitnesses reported that the statements of the police are false and that Dari was shot in the back. Moreover, an investigator who questioned the policemen after the incident stated that there was no justification for firing at Dari since he posed no danger to the policemen. The forensic report also revealed that Dari was shot in his back, apparently as he was stepping out of the car. This contradicts the police report which stated that Dari was in the car when he was shot and that he tried to ram his car into the policemen. The judge wrote in his ruling that the policeman made a terrible mistake and killed Dari for nothing, but added that “his criminal responsibility is negligible”, Ynetnews reported. He further wrote that the situation was complicated and included a mix of justification, necessity and self-defense. “There is a reasonable doubt, therefore I acquitted him”. The Israeli Justice Ministry decided on Tuesday to try the Israeli officer who shot and killed an Arab resident of Israel, and has decided to file charges of manslaughter against him. An Israeli online daily reported that the officer, identified only as S.M, shot and killed Mahmoud Abu Satah Ghanayim, aged 24. The officer initially claimed that he suspected that Ghanayim broke into a vehicle. The officer also claimed that he shot the man out of self defense, but his version of the events were not coherent. The report also said that the Justice Ministry told its correspondent on Tuesday that the Haifa District Attorney had made the decision to try the officer, adding that changes could be made to the charge after the hearing. The family of Ghanayim and their defense attorney, Zion Amir, were notified of the court's decision. The family of Ghanayim said that “manslaughter charges” are not enough since “the officer fired with an intension to kill”, and did not make any advanced warning to their son. The family also said that the officer is still allowed to perform his duties in spite of the incident. “Its seems that this is a prize for that officer”, the family stated, “It is an indicator to other officers that they can kill Arabs without fearing punishment”. was killed on 2 February 2007 by soldiers' gunfire in a-Tira, a village in Ramallah District. 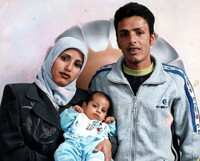 He was a resident of Batir, Bethlehem District, and had gone with his family to visit relatives in a-Tira. According to information obtained by B'Tselem, on that afternoon, Qasqas and two of his brothers-in-law went for a walk in an open area near the houses of the village. They saw a group of soldiers some 500 meters from them. Testimonies given to B'Tselem by the two brothers-in-law indicate that soldiers opened fire at the three men, who were unarmed and had not done anything to endanger the soldiers' lives. A bullet struck Qasqas in the back and exited from his stomach. The two took him to hospital in Ramallah, where he died from his wounds.